You will add many Cheats: Change Cash , Resources Don't Decrease , Instant Training , Instant Build and many more. Welcome! Below we have reported the Trainer of Farm Manager 2018 with also attached a small guide to its use. We also have the tricks of Farm Manager 2018! In our page dedicated to the tricks of Farm Manager 2018 you will find codes and unlockable to overcome all obstacles and arrive without any worries at the end of the game. 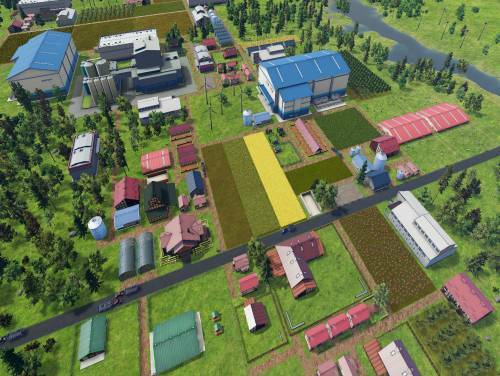 Manage your farm in the game Farm Manager 2018! In order to expand your farm, produce at low cost and sell your products at high prices. Monitors the process of cultivation of the land, hire the best staff, buy the equipment for agricultural, more suitable, breeds cattle and working the crops obtained. The various modes of the room will allow you to enter into a strategic vision and see the world through the eyes of the worker. Do you react to the changes in the weather and the changing of the seasons. Create a greenhouse to sell the crops at the beginning of spring. Buy special machinery, agricultural equipment new and used to accumulate and sell quickly picked up before their expiration date. Optimizes costs and employs seasonal workers just at the time of harvest. Accept the challenges of the neighbors to prove who is the best farmer in the area. The program you are about to download was not created by Apocanow. However, we have permission to publish and publicize by the authors of the Trainer Farm Manager 2018 Trainer - v1.0.20180817.1. The contents of the file are virus free, even if sometimes they can trigger the AV as false positive. update until you buy something. While active your resources will not decrease. While active open your warehouse and all resources are unlimited. While active each construction is instantly build. Has to be activated before start building.